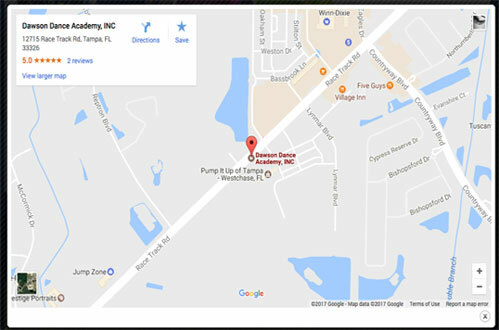 DDA Camps are directed by a Florida Certified Teacher (K-12) in an air conditioned facility at our Westchase location where safety is our top priority! This 3 hour clinic (9am-noon for level 1 and 1-4pm for level 3) will explore all of DDA’s acrobatics program and skills list for your dancer’s current acrobatic level. Keep your current skills and learn some new ones too! This 3 hour clinic (9am-noon for level 1 and 1-4pm for level 2) will explore all of DDA’s acrobatics program and skills list for your dancer’s current acrobatic level. Keep your current skills and learn some new ones too! Strength and flexibility is so important for dance! Come and build your dancer body using fun and powerful instruction. Bring a lunch or snack. This advanced clinic will move through the latest hip hop choreography and end with a fun performance! Bring a lunch or snack. For experienced jazz dancers to explore new advanced leaps and turns. Must have 3 years of advanced dance experience. Bring a lunch or snack. Have a few years of ballet training and want to try contemporary dance?! This is a great weekend clinic to learn all the basics of contemporary and why it is the most popular genre of dance! Must have a DDA Leotard. Level 1 in morning (9am-11am) and Level 2 in afternoon (Noon-2pm) - 2 hour clinics broken into DDA Level to increase tap skills quick! Grab your DDA Tap shoes and join us for tap technique, history and FUN! Must have DDA Tap Uniform. This 3 hour clinic (9am-noon for level 2 and 1-4pm for level 3) will explore all of DDA’s acrobatics program and skills list for your dancer’s current acrobatic level. Keep your current skills and learn some new ones too!